Beautiful floral designs, each shown in more than one color scheme to suit individual tastes and interiors. 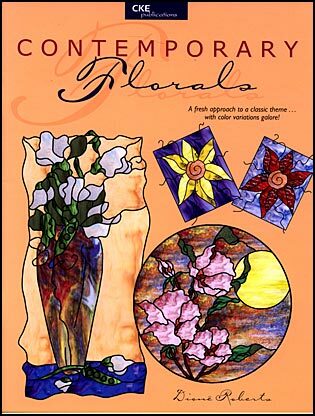 Panel designs include sweet peas, sunflowers, tulips, hibiscus, a bird of paradise, and many more! A must for anyone who appreciates the beauty and elegance of Tiffany Style Flowers. Guidelines in using opalescent glass, tips for glass selection, color cross referencing, using light, and cutting techniques. 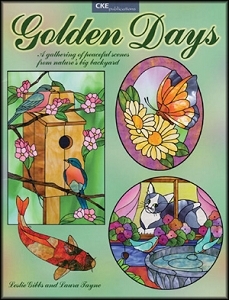 Features full size patterns and full color photos. Experience the warmth of springtime in this gathering of peaceful scenes from nature's big backyard. Twenty-six full-size patterns, also includes instructions and colored photos.